In this Jan. 22, 2018, file photo, Amazon Go employee Mari Avellaneda stocks shelves using a mobile device at the Amazon Go store in Seattle, Washington. After more than a year in beta Amazon opened the cashier-less store to the public. Amazon Go stores, which let customers buy items without waiting in checkout lines, will start accepting cash, amid intensifying criticism that the company is discriminating against the unbanked. In an internal all-hands meeting last month, Steve Kessel, Amazon’s senior vice president of physical stores, told employees that the company plans "additional payment mechanisms" at its Go stores. Kessel was responding to a question about how Amazon plans to address "discrimination and elitism" at the cashierless stores, which charge purchases using an app connected to a bank or credit card. Kessel highlighted some of the new payment methods Amazon has recently added to its site, including a pilot that accepts government subsidized SNAP benefits and a new program called Amazon Cash, which lets users add cash to their digital accounts by bringing money to a local store like 7-Eleven or CVS. "We’re in earlier days but it’s an important focus for us and we’ll continue to extend those methods with our stores," Kessel said at the meeting, a recording of which was heard by CNBC. Kessel didn’t provide a time frame for the changes or specifically say what the company will do. 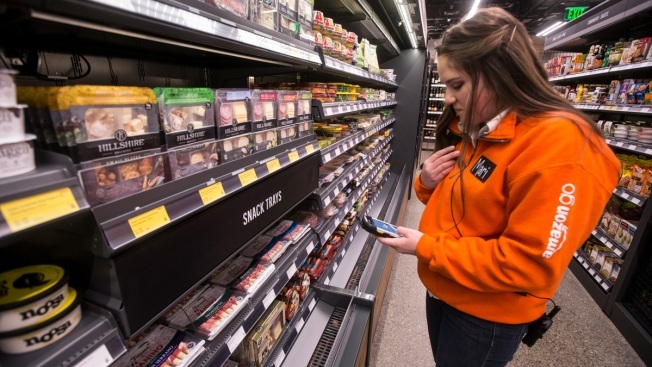 The company has 10 Amazon Go stores, and Bloomberg reported in September that the company is considering opening up to 3,000 cashierless stores by 2021. Accepting cash could help temper criticism that Amazon’s cashierless model fails to serve a sizable portion of U.S. households while also expanding Amazon Go’s customer base. More and more cities and states are enacting laws that require stores to accept cash to cater to the unbanked, who account for 6.5 percent (about 8.4 million) of U.S. households, according to a 2017 FDIC report. In an emailed statement to CNBC, an Amazon spokesperson confirmed Kessel’s comments and the company’s plan to accept cash at Go stores but declined to add details. The spokesperson described the process as "you’ll check out, pay with cash, and then get your change." "We are working to accept cash at Amazon Go," the spokesperson said. Philadelphia last month became the first major U.S. city to ban cashless stores despite Amazon’s reported attempt to block the law. The state of New Jersey followed a couple weeks later, and cities like New York, San Francisco and Chicago are considering similar laws. Massachusetts has had a law in place for decades requiring stores to accept cash. RBC Capital Markets estimates that Amazon Go stores make a little less than $15 million a year in total, and would take two years to break even at the current pace. "While not a significant financial contributor yet, we believe the overall opportunity is huge," RBC wrote in a note in January. Welcoming people from different income brackets could contribute to that growth, and accepting SNAP benefits would potentially provide Amazon access to another multimillion-dollar market.